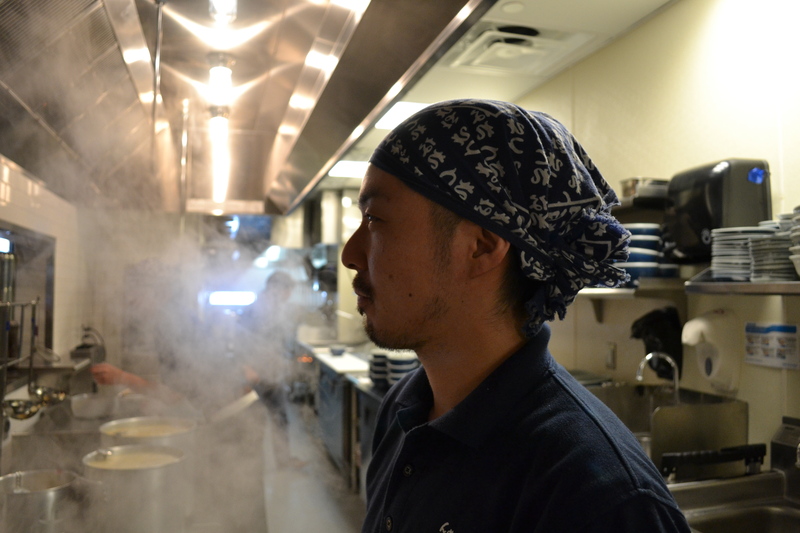 The word is out: Santouka, a Japan based ramen chain, is opening within smelling distance of the Harvard Inn and Wigglesworth. 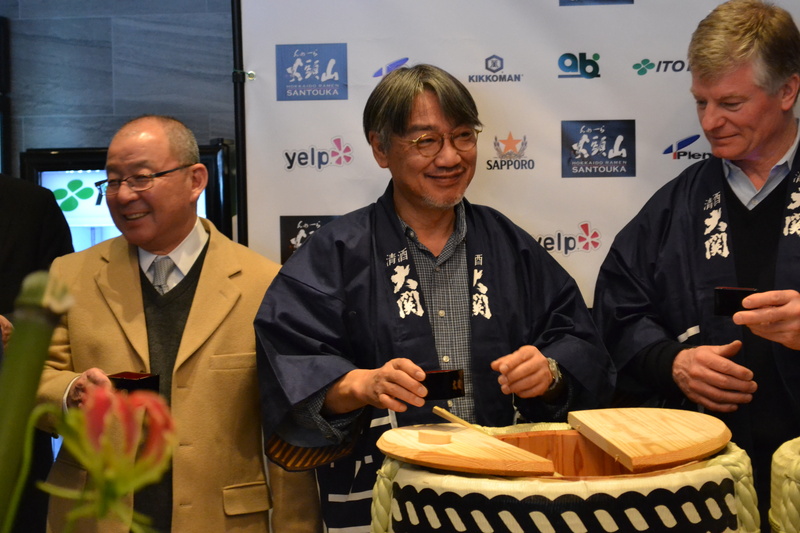 Lucky for them too, because by the beginning of second semester, the new ramen joint will be cooking up the kingpin of modern Japanese cuisine–complete with rich and savory broth, tender simmered pork, and mouthfuls of long wheat noodles. This ain’t your supermarket’s “chicken flavor top ramen”. This is the ramen big leagues. Traditional ramen, the granddaddy of instant ramen, is a broth and noodle soup with incredible regional variety from all over Japan. 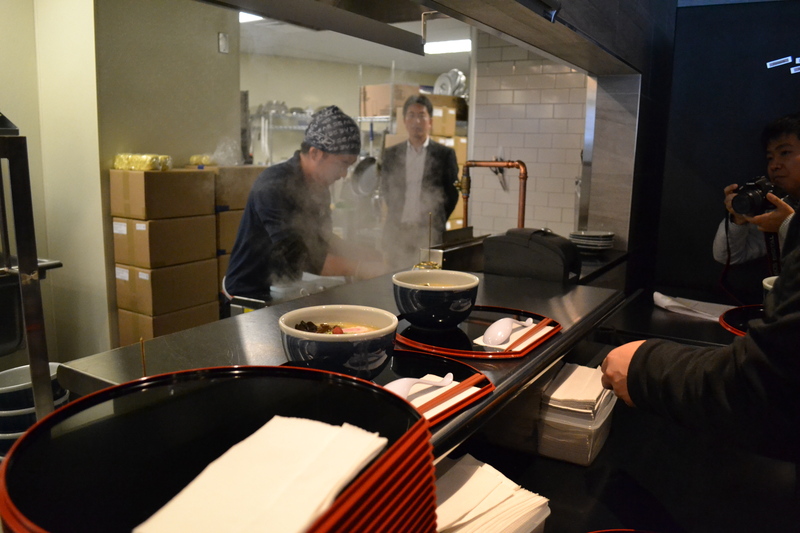 The broth can range from the light and refreshing clear broth of Yokohama, to the bolder and fragrant miso ramen of the north, to the deep and rich flavor of Tonkotsu broth from Kyushu made by stewing flavorful pork meat and bones for hours. The broth is paired with long strands of springy and toothsome noodles, set in a deep bowl with garnishing of spring onions, crunchy bamboo root and roasted seaweed. Placed on top, like a champion on a pedestal, is the pork. Ahh, sweet pork. Melt-in-your-mouth, coat-your-tongue, holy-crap-I-just-had-an-out-of-body-experience: pork. Put together these ingredients and you’ll get a team more potent than a Harvard Class of 20XX flame war. I think I am not alone when I say that I am very excited for this addition to the Harvard food scene. It will add versatility to the late night grub grab. As delicious and timeless as Noch’s, Felipe’s, and Tasty Burger are, thepizza-burrito-burger trio loses a little spark after the fifth weekend in a row. 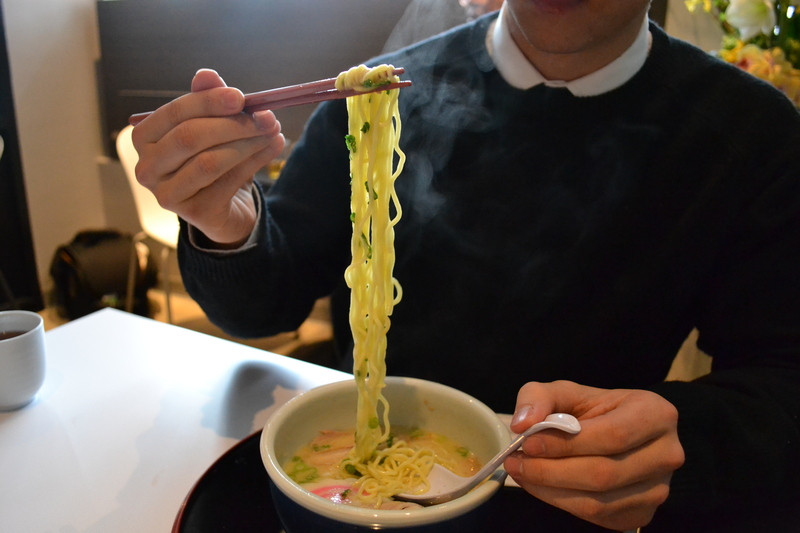 Ramen provides something new. Yes, yes, eating ramen is a religious experience, but you can just get that in RELIGION 2541: Religious Experience Seminar. 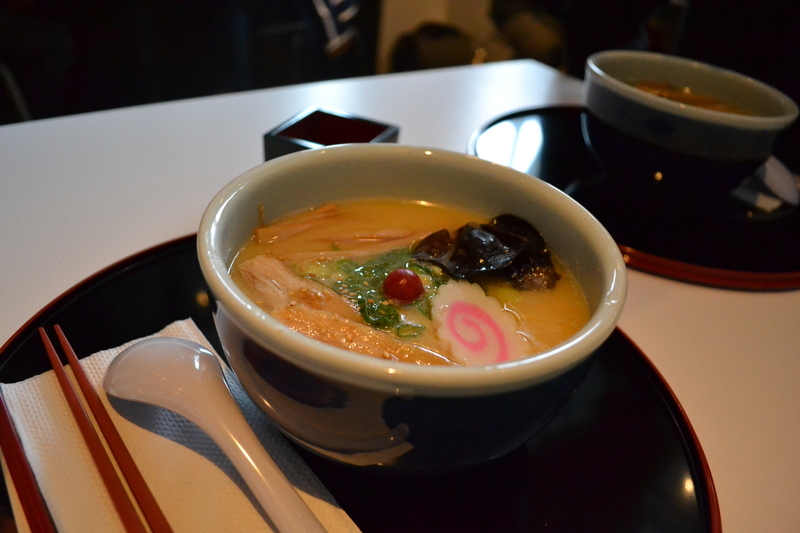 What’s the real value of ramen in our everyday, conveniently located lives? Imagine this: Late night. Getting back from that party in Mather. You know it’s a long walk, and that’s why you hate how cold it is outside. All that raging has built up into a raging appetite. You want food. You want warm. You want to walk into a room heated and scented by the rolling boil rich broth. You want to chew on noodles and slurp down just a good soup and have it radiate its warmth through your body as it finds a home in your belly. You want ramen. 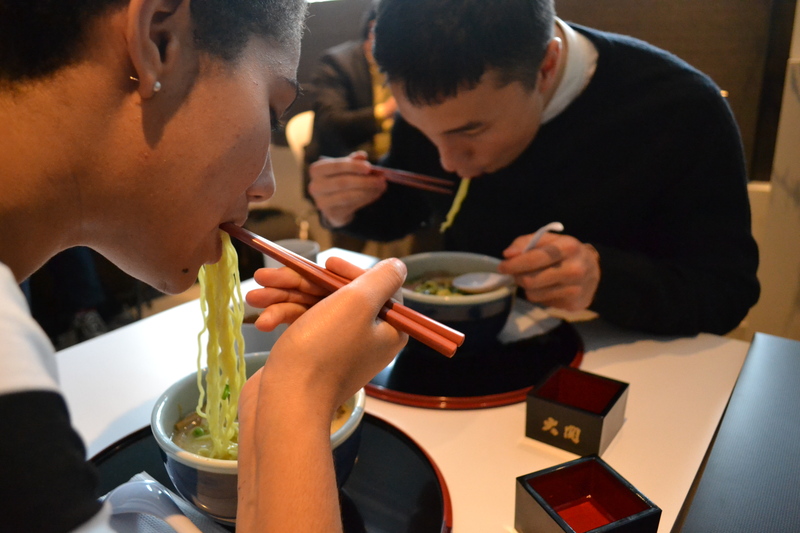 Ramen won its fame in the bustle of Japanese metropolises for its convenience, affordability, and flavor. It will do the same here at Harvard. 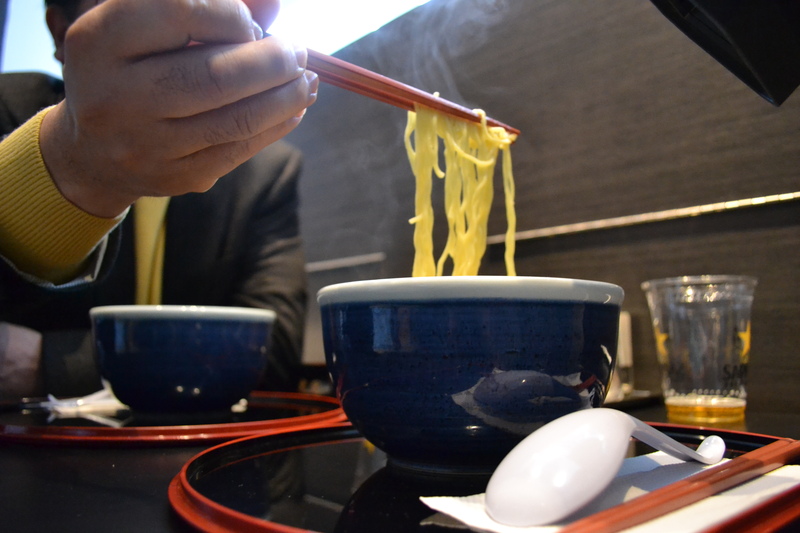 While it is true that ramen exists in our general proximity, it is still neither has the convenience or affordability that it is meant to have. Wagamama, which has ramen as a side show in its pan Asian menu offers a bowl at the pricey 15 dollars a pop. The next closest ramen place is Yume Wo Katare in Porter Square authentic as it is, but nobody is going to causally jump on the T to go to Porter after partying in Mather. Santouka is our best, and only, hope.